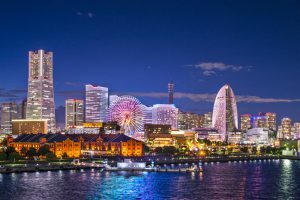 The second largest city in Japan, Yokohama is a popular tourist destination best known for its large Chinatown, port, and preserved Western buildings built in the mid-1800s, when Edo Period Japan was finally opened to international trade. 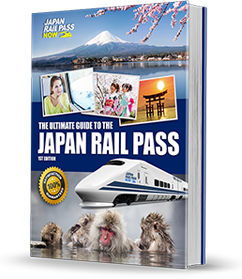 Only about a 30-minute train ride from Tokyo, it is one of the country’s most expat-friendly metropolises. In springtime (March – May) and autumn (September – November), the average temperature in Yokohama is around 16 degrees Celsius, just right to enjoy various outdoor activities, such as cherry blossom and autumn foliage viewing. During summer (June – August), the city experiences high temperatures and humidity, so bring hats and umbrellas, wear light clothing, and keep yourself hydrated. In the winter (December – February), there are still plenty of tourist activities but the crowds are thinner. Aerial view at Minato Mirai waterfront district. 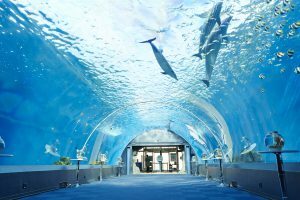 Built on a small nearby island, the Hakkejima Sea Paradise is a theme park that houses a big aquarium that is home to sea lions, polar bears, giant turtles, dolphins, whale sharks, and several other marine creatures. It also consists of many rides suitable for both children and adults. The Cup Noodles Museum is an interactive museum that educates its guests on the history of instant ramen noodles. It offers the opportunity to try various noodle mixes by allowing visitors to make their own flavors, and also learn how instant ramen products are made and packaged. Founded in the city of Yokohama, the Kirin Brewery Company is one of the top beer brewers in the country, offering free tours to the public who want to learn everything about the history and production of beer, as well as take part in some free tasting! With a great view of the bay, Yamashita Park is a wide, open space that spans a length of 750 metres of the port area. It is where the Yokohama Marine Tower and Hikara Maru are found. It also consists of several statues and monuments. Featuring several historic structures from other parts of the country, Sankeien Garden is a unique traditional Japanese style garden. 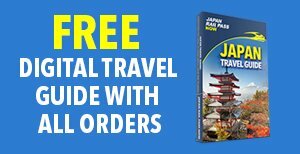 In addition to its beautiful flower gardens, hiking trails, rivers and a pond, it showcases many tea houses, a well-preserved daimyo residence, and the three-storey pagoda and main hall of the old Tomyoji Temple from Kyoto. Composed of two large red brick buildings built about a century ago, the Yokohama Red Brick Warehouse today is a multi-purpose space that hosts a variety of events including concerts and theatre performances, and is home to shops that offer brick goods and other products, and several restaurants and cafes. Chinatown – Yokohama’s Chinatown is the largest in the country, and its streets are lined with numerous Chinese restaurants and shops. It hosts various Chinese festivals and holidays, such as the Chinese New Year, when it is decorated with bright and colourful lanterns and other ornaments. Minato Mirai – Translated as “harbour of the future”, this urban district by the sea is considered Yokohama’s centre. It is home to many skyscrapers, such as the Landmark Tower, and hotels, museums, shopping centres, and other business establishments. 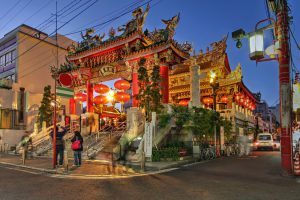 Yamate – Yamate is a historical part of Yokohama and it served as the primary residential area of the Westerners that lived in the city in the past. Today, it is still largely a residential district, with international schools, churches, parks, and well-kept Western-style buildings. Motomachi – Situated just west of Yamate is the Motomachi shopping street, an area that offers a wide selection of shops and boutiques, restaurants, and cafes, which are housed in buildings that have a mix of Japanese and Western architecture. 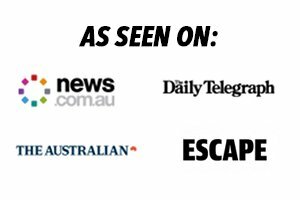 It is 500 metres long and is open to pedestrians on Saturdays, Sundays, and national holidays. 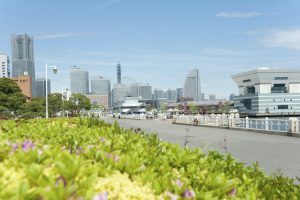 Sakuragicho – A three-minute train ride from Yokohama Station takes you to Sakuragicho, a beautiful area facing Yokohama Harbour. 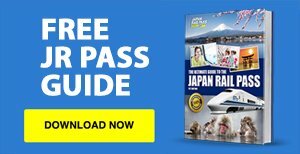 From Sakuragicho station you can easily access Kamonyama Park, famous for its cherry blossoms, the Yokohama Bay Bridge, which spans the Port of Yokohama and Yokohama Cosmo World amusement park. Mitsui Outlet Park Yokohama Bayside Shop – An outlet shopping mall with approximately 85 major brand shops and restaurants facing the ocean. Approximately a 10-minute walk from Torihama Station. There are two major railway stations in Yokohama: the Shin-Yokohama Station and the Yokohama Station. 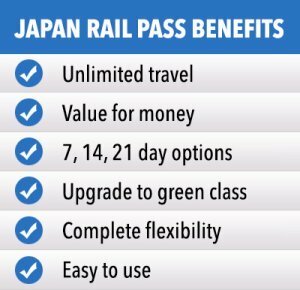 There is also a subway line, a tourist loop bus network, and boat services (for travels between Yamashita Park, Minato Mirai, and Yokohama Bay Quarter).